According to the CSLB in the state of California an Unlicensed Contractor can perform as a Contractor on a job up to $500 without requiring a license. We are looking deeper into this because the law seems to be implied and there are many who can’t find the information they need to properly understand their limitations. Handyman stings are popping up all over and skilled professionals trying to make an honest living are being prosecuted or forced to become a licensed contractor based on a regulation that seems to be so vague or non existant. Maybe it exists but it is not easily found. The facts are at the state level there is a law Code 7031a that states a license is requierd for any job requiring one. But it doesn’t mention the $500 limit anywhere. It does refer to the CSLB which says no peticular job requires a license but implies and posts articles about a $500 rule. No actual laws or codes can be found with a mention of a $500 limit. This being said, the fact is, there may be a law or code out there but it is not readily available doing a simple search. Shouldn’t an individual have all the information easily found before being prosecuted for a crime that could have been prevented by simple knowledge? All it would take is placement of an actual law, regulation or code. If one doesnt exist then it should be written and placed. 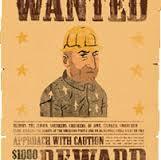 If you are a handyman caught in a sting then you have plausible defense based on lack of education, you are not a Contractor, you did not enter into a contract. You have the right to work and use your skills to make a living. It is the CSLB’s obligation to educate you and make any regulation searchable by anyone regardless of education. Law must be official and not implied or just simply mentioned in an article or 3rd party post. 10 Reasons why and what you should be taking advantage of as a UHA Member. A searchable webpage and enrolled in our handyman referral program. Linked to your website, email and phone #. Free with no referral fee ever. Eligible for our UHA insurance program. Access to business forms like sub contractor agreements, w9, UHA created MyHome service forms. Eligible to become UHA verified. Registers you for the UHA Certification Program and $5k fraud protection. Discounts on other services like Business Coaching, Mediation, Collections, Web Hosting and more. You will be part of an Association that is continuing to support and fight for the rights of the handyman. An Association setting Industry standards to raise the expectations and credibility of the handyman and his skill. All fees paid are tax deductible. Enrolled in the affiliate program where you will receive a 30% commission on any UHA referral, Product or service. Customers or handymen referrals included. Residual income paid annually. Become a member of the UHA to qualify for the Discounted Handyman Insurance program with Next Insurance, Inc. It amazes me how many people I talk to or sign up with the UHA that claim to have been in business for 10-15 years and have no actual business. No business license, no insurance, no business structure whatsoever. So my question to you. Is this good for our trade? Do you think that it is ok for someone to do business without the responsibility of doing business? Most cities require a business license at the minimum to practice as a business. Although it is not mandatory for a handyman to carry insurance unless you have employees. It is good practice and expected for all businesses to carry insurance. It is assumed that you have insurance and you are required to offer the information if you don’t. Most handymen act on a if they don’t ask don’t tell policy. You say you are running an ethical business yet you let your customers believe that you actually have a business. When in fact not having a business gives them the same rights as when they are dealing with a little girls lemonade stand. So what is the right thing to do? Should there be regulations for the handyman? Not just how much they can make or what they can do. For those of you that run a proper business without the state on you about it I applaud you and give you a big thumbs up. You are the ethical handyman business owner that I know will do what’s right since you know you can get away with something but you have integrity. I’m happy to certify and stand behind you and appreciate you as a part of our trade. For those of you that just try to slip by undetected I hope it’s just negligence or you don’t know better and its not because you have something to hide that prevents you from getting a job anywhere that runs a background. I’d appreciate hearing your thoughts on this if you would like to vent also or just tell me anything you need to get off your chest. While running our businesses we come across many decisions that could make or break our business. One of those decisions we have to make is do we hire help or do we stay a one man operation. Then if we decide to expand and hire help the biggest decision can be are they an employee or an independent contractor. You have to make that decision for yourself based on your needs and how you want to use them. My opinion as a Handyman is to keep it simple. The IRS dictates what the difference is so as long as you are working within the guidelines then you are safe to have an independent contractor working for you without the responsibilities of an employee. First thing and the biggest thing you avoid are the payroll taxes that can be smothering. Since they aren’t typically going to be working in your office but out in the field for your customers it will be very easy to let them decide when, where and how they work which are some of the classification requirements. So for example I have a scheduling system set up that each guy controls his schedule and customers can log online and request and schedule who they want. They decide how much or how little they work. How do you get paid? The customer pays you and you pay them. So if you are charging $60 per hour and paying your independent contractors $30 per hour then there is your profit. You can require them to carry their own insurance and maybe pay them an incentive so that you don’t have to insure them. Remember to have them list you as additionally insured though. Why don’t they just go out on their own? Some people just don’t have what it takes or the desire to deal with the customers and the business side of it. Some will try though. If you are advertising and giving them work most guys will be happy just working. On the other hand you may decide to bring in full-fledged employees or stay solo. Look at your options and make an educated decision either way, Solo is obviously the easy way to go but you will make less money for sure and without help you won’t be building a business that can work without you. You will work longer and when you are forced to retire I hope you had invested into that time for yourself. I started my business at 16 yrs. old and from day one I said I was building my future, a business that will pay me later and the only way that happens is if the business doesn’t rely on me to survive. Make sure you have Insurance and listen to your customers. They will know who you should keep before you do. Always background screen them either as part of your UHA certification or on your own. The greatest job for a skilled craftsman is a handyman. Enough variety that it’s never a boring job. Enough reward that you go to work every day enjoying your job. The difference between hiring a contractor and a handyman sometimes is skill. The handyman in most cases is more skilled then the contractor because he is doing the work himself quite often. More involved even if he has help. The Contractor may have experience in the beginning but the nature of the business takes him away from the day to day labor. If you want to deal with the guy who is doing your work then hire the handyman. If you want to know you and your home is protected then make sure they have a proper business license and insurance and do a background screening. You can do all that yourself or you can hire a UHA certified handyman. Everyone has their own goals and ambitions, you might be happy as a small job to job just make it handyman but if you want more for yourself and your business, respect and quality pay for quality work then get certified by the UHA and show that you have worked hard for what you have and you are worthy of being treated like the professional you are. Are you qualified to be a certified handyman? There are a lot of reasons a person chooses to be a handyman instead of a contractor. Sometimes it’s because they can’t be a contractor. Why do you think it should be any easier to become a certified handyman? There is a reason some people have lowered their expectations when they hire you but it’s wrong but only if you deserve the expectations of a quality certified handyman. It’s not about paying a fee. Not every handyman even qualifies or deserves to be certified. It’s not about taking a little test and paying a fee that makes you certified. You can find that easy and probably wouldn’t be hard to find someone to take your money. The contractor has to go through a process and prove experience. Pass a screening and put in the work. If you want to be respected as a certified handyman then it should be something you have to work for. Then there is the value of the certificate. Not the money value but the return you get from the hard work. Does your certificate work for you? Who backs your certified status? Without that it means nothing. You can make the certificate at home for a couple bucks. I’ve talked to a lot of guys who signed up for an association and paid their $50 took a little test and now advertise that they are certified. But when you ask them what that means they don’t have the answer because there isn’t one. It means nothing. Yes it was cheap and it sounds good to say I’m a member and I’m certified. Some even have a logo that says I’m a lifetime certified member. That’s even worse. So you can be a horrible handyman and commit fraud and all other types of bad stuff but you are certified for life. Really?!! The guy that took your money. Was he a handyman or a business man? What goods are you now selling to your clients. Being certified is a privilege and who is giving it out needs to make it valuable. Stand behind the certificate to make it worth working for. Does the state do that? Well kinda if you have a problem they will intervene but your money is lost. The UHA does that and more. Lower standards for the handyman! That bull s**t! The handyman is the one stop shop. One phone call saves you time and money. The handyman should have to work up to expectations but the only way the expectations go up is if you deserve them. Certify your business and deserve your customers respect. Are you just starting out then register and become a member of the UHA and tell us how we can help you. We don’t succeed until you do. In the office the work attire may be a shirt and tie and maybe a jacket. Casual Friday might be a privilege. If someone isn’t following the rules or even worse they smell of something unbearable to others there is a department to handle it called HR human resources. What about for the handyman? Even though the handyman won’t get caught in a suit they still need to be clean and not smell. How do you handle it? They are representing you and your business. Your customers might be complaining if they know you well enough or worse they stop hiring you for their work because they feel uncomfortable having that conversation. Maybe it’s a cigarette smell like my experience, maybe its just plain body odor. In any case how do you handle it. I asked my smoking employee to change clothes prior to going into the customers house. Their is a local plumber in my area that exploits the smell good aspect. Is it ok to ask your handyman to smell better. I know it should be expected but people sometimes can’t smell themselves. They are representing you so do you provide them with work clothes to insure they are clean. Maybe a bottle of cologne? It might be funny but losing a customer because you or your worker smells isn’t funny at all. The Handyman performs a lot of different types of jobs so not like a painter that one would expect to have paint on them. The handyman shouldn’t bring evidence of their prior job to the next one. Its very important to keep up a professional clean look when in the presence of your customer. Oh and smelling good is always a plus. This is a conversation that you can have with your workers as they represent you. Having that conversation during the hiring process is best and overlooked most of the time. Remember they can be the best and have the greatest personality but if they smell bad they wont have the chance for anyone to give them the chance to know it. When a homeowner is considering a new project or hiring a new handyman they typically interview at least 3 different people/businesses. Your goal is to be the last one left. 3-2= you. What makes you their choice? What do you have that sets your above your completion? The customer has their own expectations of what they are looking for. Who represents themselves best, who is qualified for the job. Maybe asking for references tells you that they want assurance of your quality and honesty. Sometimes it comes down to who is the cheapest or the rule of thumb being the middle quote. Imagine this: Put yourself in their position and you are interviewing handymen. A professional that you know is not regulated and all you have is your gut. A feeling of who is going to not rip me off or even worse be a threat to me or my family. Do you need to lock your valuables up and never leave them alone? These are the things that people think about. If you’ve ever hired someone to work for you then you know what this business brings to the table and the risk factor. Now back to you interviewing 3 handymen. They are all nice, they all say I have insurance and references. But one of them says I’m certified by the UHA and have passed a background. I am certified and backed by a $5,000 guarantee that if you pay me money I will perform the job that we agree on or the UHA will pay you back for your loss. Now you have an independent association standing behind one handyman that will also handle any future possible dispute between you and the UHA certified handyman at no cost to you the customer. All things being equal, who do you hire? No cost or additional fees to your new customer. All they get is a guarantee and peace of mind that you are the one for the job. 3-2= YOU. How many customers can you afford to lose? Better yet, How many can you afford to gain? Become a certified Handyman today and start utilizing the tools available to you now as a quality handyman. Belonging to a business networking group or an association for handymen isn’t enough by itself. More often then not handymen are joining groups paying their hard earned money and then forgetting about it. You need to treat it just like a baby, take care of it, give it attention and nurture it to help it grow so that your association can then help you grow. Lets face it nothing is instant without hard work and perseverance. Your goal should be future not just today. You join an association for what it can bring you tomorrow. If you are lucky enough to be part of an association that will certify you and your skills then you should be yelling from the roof tops. Because you are a limited few in this business that is capable of such an honor. The rest just answer a few questions and pay a few dollars and Walla they’re certified. There is a reason some people become handymen when they can’t get hired at the nearest home depot. Is that you or are you the guy whop said I have a skill and I’m going to use it and start a business? Below are a few examples of how you can make the most of your membership. UHA membership checklist to get the most out of an association for handymen. 1. Become an association member. 3. Provide your information to complete your online profile and get verified. 4. Complete certification process for your business. 5. Complete skill certifications only available from the UHA. 6. Display association member or certified membership logo on website, vehicles, invoices and business cards. 7. Install link to your association page from your website. 8. Need website/hosting? Sign up for your free webhosting with your certified membership or low cost without. 9. Business coaching- call or email to schedule your 1 hour one on one business coaching included with certified membership. 10. Need Insurance? – use resources on your member page to find low cost insurance. 11. Utilize the UHA as a resource for any business questions or needs throughout the year. 12. Fraud protection- Be sure to tell your potential customers that your business is supported by a $5000 guarantee from the UHA. 13. Having trouble getting paid? The UHA works for you to mediate and facilitate payment. 14. Need help setting up a business? Become a member and we will walk you through the process. 15. Marketing help also provided as part of coaching. Discounted help also provided by one of our marketers. 16. Just utilize your membership fully and you will benefit immensely. 17. Don’t be one of the companies that becomes a member and never does anything with it and wonders why there was no benefit. Posted on September 25, 2016 by Flash | Permalink Comments Off on Looking for a Handyman? Lets make the process simple. Go to www.theuha.net and search your zip code or handyman in the upper right hand corner. If you don’t find one near you then we will help you find one. Already have a handyman then we will screen him for you anonymously. Through our MyHome program we screen your in regulated Handyman to make sure he is safe to be in your home and qualified for your job. We verify that he has the business documents required to run a business. We check and verify that he has and maintains Insurance. We are all business so you can be relaxed and have the more personal relationship you enjoy with your handyman. Remember that when you hear about something bad happening involving a handyman there are always several customers on the sidelines talking about how they trusted him and never would have thought this could happen. You only know what he tells you. 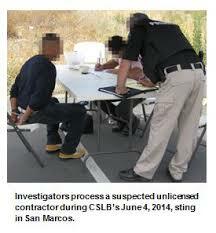 Licensed Contractors go through a vetting process. Now the handyman can too but because they aren’t required by city or state they need to be required by you the customer. Join MyHome and let us screen your handyman and we will make sure the t’s are crossed and the i’s are dotted.